Learn how to organize your holiday decorations with these 7 home storage ideas. These holiday organizing tips will make it easy to find what you need when you’re ready to celebrate the start of each season. Storing all your holiday decorations is solved with these 7 tips. Don’t let holiday organizing be another stressful part of your to-do list. Decorating for the holidays can be a ton of fun and the perfect way to get the whole family in the mood to celebrate. However, once the celebrations are over, you’re faced with a pile of holiday stuff to sort, organize, and put away. From wreaths and garlands to lights and wrapping paper, it can be tempting to shove it all in a box and push it to the back of the closet ‘til next year, but if you’re on a mission to keep your home in order, that isn’t the best approach. 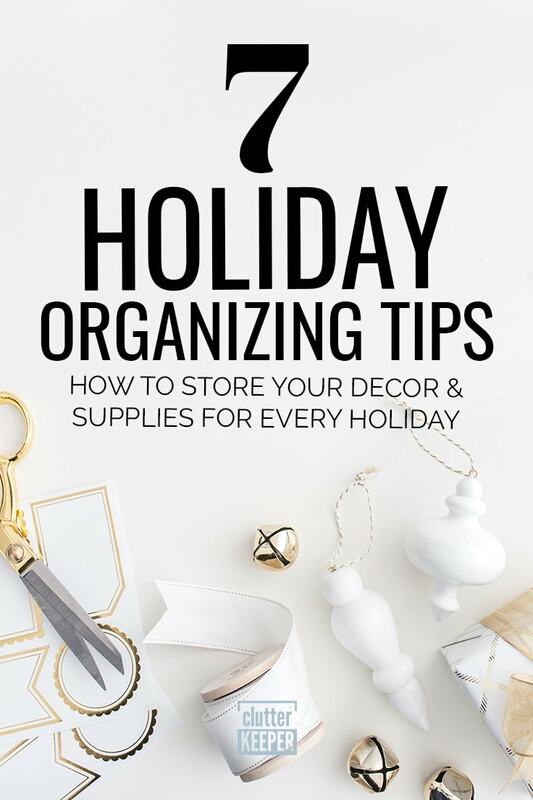 These holiday organizing tips cover all the holidays – Easter, Christmas, Thanksgiving, Halloween and more. Learn how to store all your supplies – including decorations and themed dishes – so that you can find them quickly. 1. Sort your supplies by holiday. Storing Easter decorations with Valentine’s Day ones might save you space, but it is wasting your time. You’ll have a much easier time when you don’t have to sort through boxes and cartons to determine what actually belongs on display for the season. Separate your decorations by holidays and give each holiday its own box or container. 2. Get creative with storage containers. Look around your house or search online for ways to repurpose things into storage containers. In fact, the Huffington Post has a fantastic roundup. Investing in some storage solutions to tackle your toughest challenges is a smart idea. If you’re on a budget, you can find tons of useful items around your home that can be repurposed to store holiday supplies. Store your ornament hooks, gift-wrapping ribbons, and other little odds and ends in mason jars or metal coffee containers – and think outside the box to uncover some other options! 3. Don’t pack it all away. Keep a box of recurring holiday decorations somewhere you can reach them quickly. Big holidays like Christmas, Easter and Thanksgiving only roll around once a year, so there’s no need to keep your tree skirt or cornucopia at the front of the closet. However, other holidays – particularly birthdays – can happen any time of year. Stash your balloons, birthday banner and garlands, gift wrapping supplies, and anything else you’ll reach for throughout the year somewhere you can get to it without unpacking the rest of your holiday stuff. You’ll save a lot of space if you wrap holiday lights around cardboard instead of just shoving them into a box. You can also wrap the lights around a paper towel roll. For many, holiday lights are an easy way to embrace the spirit of the season and add a little color to the house. Unfortunately, they can easily become the biggest holiday headache you’ll face all year when you can’t get them untangled. If you no longer have the holder that came with your Christmas lights, carefully wrap them around a piece of cardboard to keep them from getting too tangled. Surprises can be fun, but searching for a certain box with no luck can be frustrating. Unless you’re using clear bins, consider creating labels for your boxes. These can be as simple as “Halloween” and “Fourth of July,” but you can also add a bit more detail and list a few of the contents – especially if you’ve got multiple boxes for the same holiday. You can go all out and make your own labels, buy reusable labels, or even just tape some paper to the box with the name on it. Just make sure the label is easy for everyone to read. 6. Store fragile items with care. Some items, like holiday ornaments, are especially delicate. Pack them in the wrong box or with insufficient padding, and you’ll be greeted by shards of broken glass when it’s time to decorate for Christmas. Small ornaments can easily be stored in egg cartons, while larger ones can be stored in plastic cups separated by layers of cardboard. Don’t have a ton of space to stack boxes and bins? Consider hanging some of your holiday decor to keep it out of the way using hanging organizers. Clothes hangers can be a great way to display ribbons and short garlands. Got lots of wreaths? Hang them up in a spare closet. 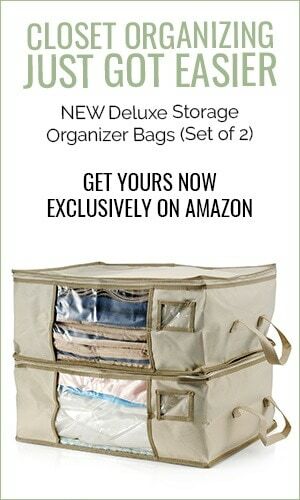 There are also lots of clever hanging storage solutions that create storage space on the back of closet doors. There you have it! 7 tips for holiday organizing bliss. How do you store your holiday decorations? Leave a comment and let us know! Need even more holiday organization inspiration? 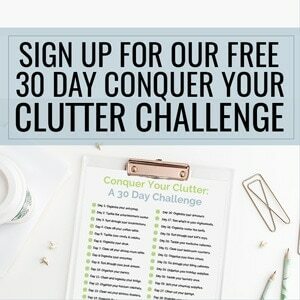 Clutter Keeper has you covered. Browse a few of these ideas. 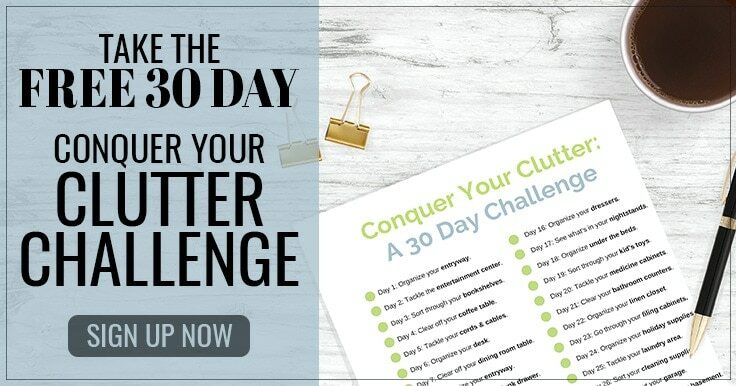 How to Create a Year-Round De-Cluttering Routine – Stay on top of your home and all your stuff by sticking to this proven routine. Seasonal Tips & Ideas – Search for ideas that match the exact season. How to Start Organizing When You’re Too Busy – Holidays are the busiest time of year, but with these tips, you’ll still have a tidy home. Gift Wrapping Station: What You Need & Home To Store It – Easily create a gift wrapping station so that everything is at your fingertips.